LAUSANNE, Switzerland (AP) — Weightlifting’s place at the 2024 Paris Olympics has been confirmed after an IOC review of persistent doping problems, as long as the sport’s governing body meets certain conditions. The International Weightlifting Federation will continue to undergo “very close monitoring” after 18 months of scrutiny, the Olympic body said Tuesday. This includes finalizing an agreement — expected within days — between the IWF and the IOC-backed International Testing Authority to run a doping control program. Weightlifting’s reputation was tarnished by more than 50 positive tests in reanalysis of samples from the 2008 and 2012 Olympics. A key upgrade in the sport’s anti-doping program means lifters must compete more often to be consistently tested. “Athletes now have to regularly appear at international events and therefore be subject to … in-competition testing in different places around the world,” International Olympic Committee sports director Kit McConnell said at a news conference after a board meeting. 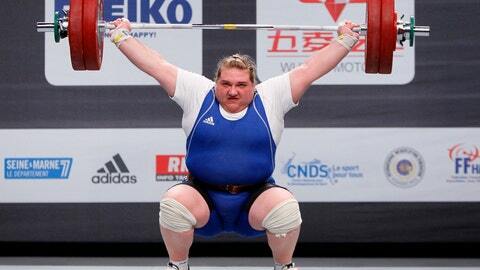 Weightlifting suffered cuts along the way to retaining Olympic status. The IOC previously reduced the size of the 2020 Tokyo Olympic competition, with one men’s medal event fewer and a quota cut of 64 athletes. Countries with historical doping issues, including Russia, Kazakhstan and Azerbaijan, will have fewer entries in the Tokyo lineup. The IOC’s board formally ended the membership of Japan’s Tsunekazu Takeda, who is implicated in an investigation of suspected vote-buying to help Tokyo win hosting rights in 2013. Takeda announced last week he would step down as president of the Japanese Olympic Committee, though he denies wrongdoing. The IOC board expressed the “highest respect” for Takeda’s decision and noted presumption of his innocence, spokesman Mark Adams said. Takeda has acknowledged he signed off on about $2 million in payments to a Singapore consulting company, Black Tidings, before IOC members picked Tokyo as host ahead of Istanbul and Madrid. French investigators have linked Black Tidings to Papa Massata Diack, a son of former long-time IOC member Lamine Diack of Senegal who held influence over Olympic voters in Africa. The IOC must replace Takeda as chairman of its marketing panel by May.